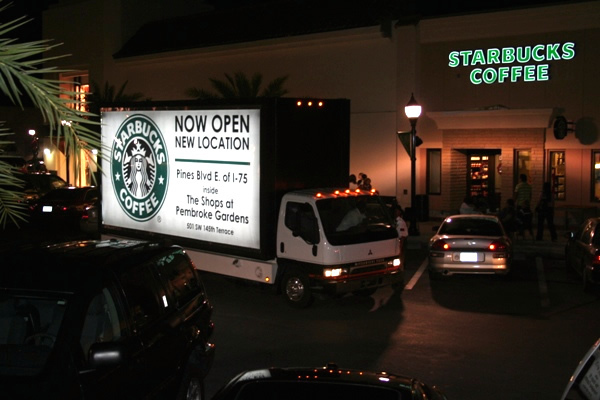 Mobile billboards refer to moving billboard displays that are commonly found on the sides of specialized vehicles. These vehicles are designed for marketing purposes; they offer flexibility and control for strategic execution. This differs from truck side advertising which involves displays placed on trucks running designated routes for shipping purposes in city areas or on interstate highways. With mobile billboards, you can design customized routes that capitalize on peak times and locations. For instance, they can travel in areas that are dense with your target demographic or park in highly-populated areas like sports arenas, concert venues, and city centers. They can also have GPS tracking capabilities that allow you to monitor your campaign! 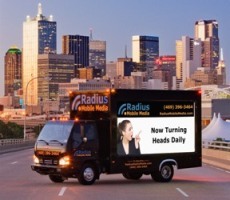 Additionally, mobile billboards are cost-effective compared to other advertising forms like TV or internet. Now let’s take a look at some of the options available through mobile billboards. Static – These are your standard displays that model the traditional billboard style. With sizes like 10 x 22, these large displays are easily seen amongst city crowds. Digital LED – These digital LED displays use backlighting to illuminate throughout the day and night. Some versions of these displays feature motion video to demand attention wherever it goes. 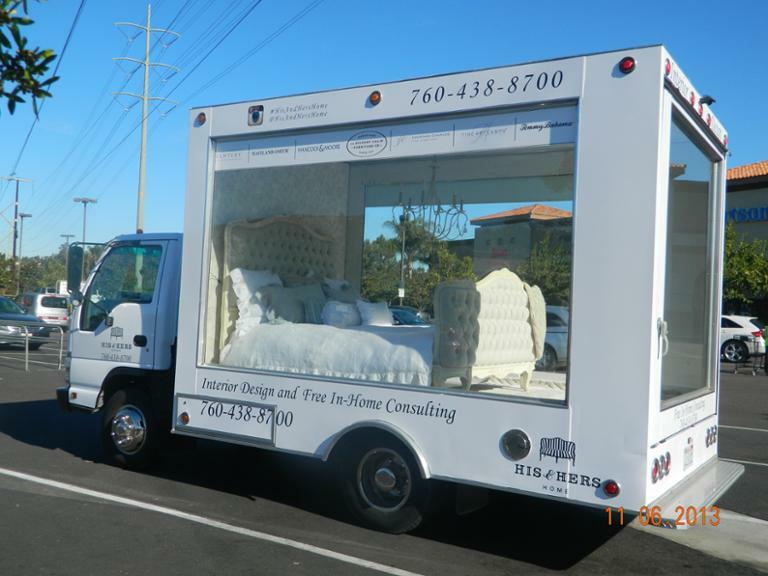 Custom Build Out – These mobile billboards let your imagination run wild with creative displays. With custom build outs, you can create 3D designs to increase engagement with features like textured designs or full 3D designs. You can also integrate other elements like external audio, spotlights, digital countdowns, and logo decal enhancements. Showroom – Showroom mobile billboards feature large, clear windows alongside the truck to give consumers an inside-look of your product, service, or brand. These visual displays can be driven around to generate buzz or be utilized for product demonstrations or samplings! Truly put your business on display with showroom mobile billboards! Beacon-enabled – These cutting-edge displays bring a new layer of marketing to the mobile billboard industry. Beacon-enabled displays pair with mobile devices like phones and tablets to send campaign-specific content when passersby come within 150 feet of the advertisement! The beacon can activate certain elements on mobile devices like push notifications and mobile advertising to leverage the billboard’s messaging. This integrative approach is a surefire way to reach more consumers. In fact, when OOH advertising is added to a media plan it can increase reach by up to 316% for mobile advertising! To get moving on your mobile billboard campaign, visit BillboardsIn.com!